What Are the Provisions of the New Law? The new law, which is the first of its kind, is called the Uniform Fiduciary Access to Digital Assets Act (UFADAA). In addition to acknowledging social media accounts as property, the law grants to guardians who are caring for disabled persons, the right to manage their social media accounts. It also gives this right to executors, agents under powers-of-attorney, and trustees in the same way that fiduciary trustees can gain access to bank accounts, financial and tax documents, and medical records, contingent upon a will, trust, or power-of-attorney. Another right possessed by the decedent is the right to prevent the heirs from ever opening or modifying their online accounts. Furthermore, the new law allows title to digital assets to be held by a trust. Referred to as a digital asset trust, this type of trust may well become an integral part of the estate planning for those individuals who possess digital photography , artwork, or manuscripts, or computer code, and who would like these assets to be managed in such a way that their family members and friends can benefit. How Will the Law Be Applied? The law applies solely to residents of Delaware, and it will be interesting to see if other states will follow its lead. While some states already have laws in place permitting the decedent’s personal representative to access online accounts, these laws are far more limited than the one enacted in Delaware. Those states with a limited version of the law are: Connecticut, Idaho, Indiana, Nevada, Oklahoma, Rhode Island, and Virginia. A decedent whose will or trust is governed by Delaware law will be able to have his or her online accounts accessed by the personal representative of the estate. However, a decedent whose will or trust is governed by any other state will be unable to have the same access granted to the personal representative. It is irrelevant that several technology companies, including Facebook, Twitter, and Google, are incorporated in Delaware. Despite the benefits of the law, there is some opposition due to the potential invasion of privacy of third parties who maintained contact with the decedent. Such communications to the decedent include those that are considered to be highly confidential from people who are still living, including patients of deceased physicians, psychiatrists, and members of the clergy. These individuals would likely be understandably upset upon learning that a personal representative was reading their emails. Nevertheless, the benefits of the law appear to far outweigh the disadvantages in that the decedent’s heirs and beneficiaries will have access to online accounts that were previously beyond their reach. Although many of these accounts may not have much in the way of monetary value, the heirs may attach some emotional value to them. 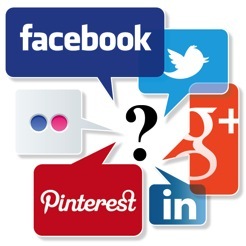 Can Social Media Impact Your Injury Claim? How Can Your Foreclosure Affect You?